"In smaller cars, will the customer still be prepared to pay a price of an additional 2,000 euros? Probably not." PARIS -- Even in the heart of the world's largest diesel market, the future of the fuel looks clouded. At the Paris auto show, senior auto executives expect the role of diesel engines in Europe to wane in the coming years amid government scrutiny and rising costs to comply with toughening regulations. Diesel powertrains will still be widespread, especially in big car and SUV segments, where their high torque and efficiency are coveted. But in car segments, especially smaller cars, expect to see fewer diesels offered in the years ahead, even in Europe. VW brand chairman Herbert Diess said additional emissions technology needed for diesels to comply with tougher regulations starting in 2020 is likely to boost the cost of diesels by 2,000 euros per car, or about $2,200. "That might change the product mix a little bit," Diess said on the sidelines of the Paris show last week. "In smaller cars, will the customer still be prepared to pay a price of an additional 2,000 euros? Probably not." Rising costs of diesel vehicles will cause a "rebalancing" of diesel vs. alternatives such as gasoline or electrified powertrains, said Nissan's chief planning officer Philippe Klein. "Based on the visibility we have, I still think diesel is a good solution for fuel economy and CO2 for big, heavy vehicles and vehicles that are driven long distances," he said. "The question is a bit more open for smaller cars." Additional pressure is coming from VW's diesel emissions scandal, which has raised new questions about whether modern diesels are as clean as believed. Independent researchers have found that diesel vehicles in Europe produced by several automakers emitted nitrogen oxide at levels far above official limits. European Union regulators are revisiting testing procedures. 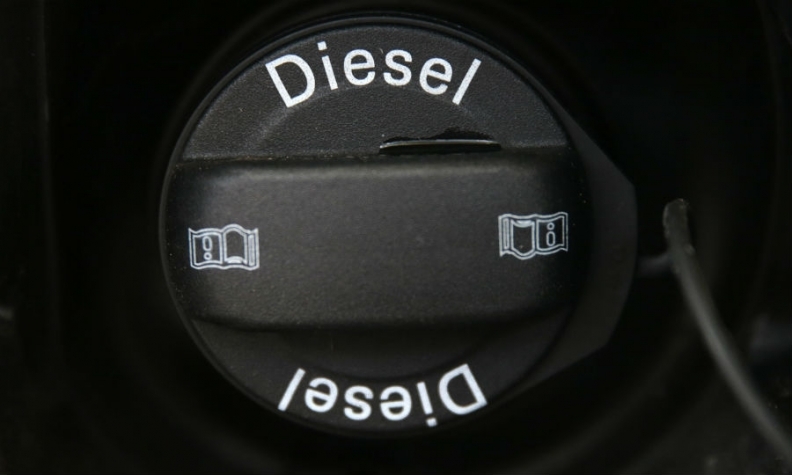 Stephanie Brinley, an analyst with IHS Automotive, said regulatory changes will be the biggest influence on the future of diesel in the European market. "If the result of the scrutiny is that diesel is found to not be as clean as we thought it was, governments will change the way that they regulate, and that will make the difference," she said. The question of diesel's primacy in Europe is a longer-term one, said Ian Robertson, board member for sales and marketing at BMW AG, noting that some markets are up to 90 percent diesel. "We are very flexible," Robertson said last week. "We have an engine range which goes down the same lines to make petrol and diesel engines, so if the market changes, that's OK."
Douglas A. Bolduc and Dave Guilford contributed to this report.